Will Mistral send us a 'demo'? Will Mistral send us the Source Code so we can check it? Does Mistral offer any guarantee? Why are Mistral 'Corporate Account' licence fees based upon staff head count? Does Mistral provide full technical support? Why am I getting an Error #902, #904, #914 etc. report when trying to install? Why did I not receive my Access Registration Code? If we send an email asking for help, how long does it usually take Mistral to respond? Does Mistral provide telephone support? Are Mistral programs supplied with Help pages or manuals? What units of measurement do Mistral programs use? Who checks and verifies the proprietary data in Mistral programs? Can Mistral programs make a mistake? Can we make copies of programs and give them to our friends? Will Mistral programs run on Apple Mac or Linux computers? Has Mistral ever encountered a PC upon which it couldn't successfully install the programs? Who in our firm will be authorised under the licence to access Mistral software? Do we have to pay for either program upgrades or for database updates? If we make a late payment will the licence period run from the date you receive our payment? May we ask for a discount? If we ask for a discount will we be granted one? What is the COMPUTER MISUSE ACT? Can I read Mistral's Software User Licence Agreement before committing myself? What recent changes has Mistral made to installation and file saving procedures? My firm is a current multiple access user. I need a new Access Code. How do I obtain one? If I delete my Mistral program installation will I lose my saved calculation files and database edits? Most Expert System software providers charge Management fees. Does Mistral? Q	Will Mistral send us a 'demo'? A	Sorry but no. At least not for free¹. Just as Microsoft won't send you a demo of their standard Windows Operating System either. For a very modest fee serious prospects may purchase a short term trial if they wish and the cost of this will be refunded when they convert to a full licence but we have no interest in helping firms ²winning contracts using Mistral software but never offering to pay for it. Nor do we wish to aid would be plagiarists as Mistral has seen so frequently in the past. ¹ You may if you wish purchase a fully functional complete installation of all Mistral programs and working, interactive databases for 30 days usage by every person in your organisation who wishes to see and use it. The price is UK Pounds 50 and this will be set against the purchase price (refunded) of any Mistral product if ordered within the 30 day trial period. Click here to proceed. ² As indeed nor do their competitors, our loyal customer base, who benefit from use of our products and which they have paid for! Thus contributing to the costs of both original development and importantly, its continuous process of maintenance. Q	"We have seen Mistral software and are very impressed. Will Mistral send us the source code so we can examine it for verification purposes?" A	Yes, if you send 2 large trucks to collect all the data, along with cleared funds for 25 million US Dollars! Q	Does Mistral offer any guarantee? A	Yes, of course. Mistral meets and even offers to exceed its legal obligations. Mistral will refund in full the purchase price paid for any product that can be proven to not perform as stated in detailed descriptions published in these web pages. In Mistral's history to date no claim for refund has ever been demanded. Q	Why are Mistral 'Corporate Account' licence fees based upon staff head count rather than actual number of users of your programs? Mistral has other deals available as well which might suit you better. For sole traders and family businesses for example. Take a look at Mistral's Annual Subscription Licence. Q	Does Mistral provide full technical support? A	Yes, of course. Twenty four hours a day, seven days a week and for every day of the year. However you will find it is seldom necessary. We cannot become involved though in actual case studies. Only in technical matters arising from use of our programs. Q	Why am I getting an Error #902 or #904 or #914 etc., report when trying to install? A	Click here to find out why. Q	Why did I not receive my Access Registration Code? A	Most likely because something went wrong at your end! Click here to find out what it was. Q	If we send an email asking for help, how long does it usually take Mistral to respond? A	Mistral usually responds within a couple of hours. Wherever you are located in the world! Our desks are managed 24 hours a day, 365 days of the year. Even during our own national holidays. However, just as we suspect you might be, we are also very busy. If we provide a solution and you do not have the courtesy of letting us know within a reasonable amount of time that it worked then the next time you contact us our response could take as long as a week! How helpful was Mistral? Please tell us. Q	Does Mistral provide telephone support? Not normally anyway. Just like Microsoft. There is a good reason for this policy. In the days when Mistral did provide a 'Telephone Help Desk' we were answering too many questions that had nothing whatsoever to do with our products. The cost to us for providing this free consultancy service was forcing us to increase the prices we were obliged to charge you by around 15%. Since making people think about their perceived problem sufficiently enough to have to write about it, requests for support dropped by a staggering 98%! If you really do feel you must talk to someone then email us with a brief description of your problem, or any questions you may have prior to placing an order, along with your telephone number and the best time (your local time) that you can be reached (without risk of you being nterrupted or otherwise distracted) and we will call you. Saving you the price of the call! Q	Are Mistral programs supplied with Help pages or manuals? Q	What units of measurement do Mistral programs use? A	Both SI (Système International or metric) and Imperial. Instantly converting tens of thousands of (frequently 'compound') units, along with every text description, every algorithm and every equation. Back and forth, whilst the program is operating, as many times as you want, without accumulating any 'rounding errors'! Unprecedented for software systems of this level of sophistication. Q	Who checks and verifies the proprietary data in Mistral programs? A	Of the tens of millions of individual items of live, interactive proprietary data accompanying all Mistral programs then the owners of that data always verify its accuracy and approve its release. 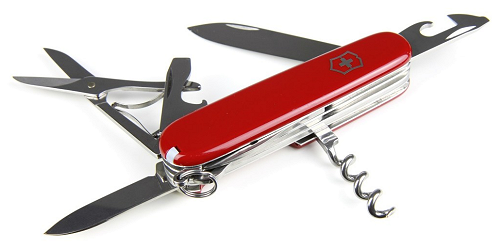 Usually the manufacturers of products or their officially appointed representatives or distributors. Q	Can Mistral programs make a mistake? A	No. Not any technical error anyway. Literally hundreds of thousands of hours of highly skilled work at costs running into millions has been spent ensuring that sophisticated error handling routines work properly. It is not though possible to identify and intercept every possible human error but even then the programs will spot most and certainly those that could be commercially damaging. Many other software developers cannot make or prove the same claim! If you don't believe us then ask them! Q	Can we make copies and give them to our friends? A	You can try but it is illegal and through sophisticated covert code tracking systems you will most likely be discovered. You will then face the prospect of a hefty fine, almost certainly a criminal record and in extreme, blatant cases even a jail term. Click here to read more. Q	Will Mistral programs run on Apple Mac or Linux computers? A	Yes! Click here to read Mistral's standard email reply to this question. Q	There must be dozens of different combinations of computer platform coupled with scores of different monitor types and keyboards, all using a wide range of different regional variations, even different decimal point systems (some using commas, some using full stops). Has Mistral ever encountered a PC set-up to which it couldn't successfully install the programs? A	Not 'dozens' of different combinations but thousands and the answer is still "No". Mistral has never failed to get an installation working where the computer is using a currently supported, that is not obsolete, Operating System (Microsoft Windows or Apple Mac). Q	Who in our firm will be authorised under the licence to access Mistral software? A	If you purchase a licence for single user access, a Subscription Licence or a Lifetime Licence for example, then it will be just one person. If you purchase a 'Corporate Licence' then everyone in your organisation will be authorised. From the very occasional user (such as the Managing Director!) to each and every hard working Engineer and Salesperson. Even the Chairman! Q	Do we have to pay for either program upgrades or for database updates? A	Yes (and no!). If you purchase a 'Lifetime' Licence then if you change your computer's Operating System in the future and this renders previously written computer code unusable then you must pay to have the upgraded software. Naturally, it doesn't grow on trees! However, if you join Mistral's 'Corporate Licence' scheme then all future upgrade charges are amortised within a guaranteed fixed annual fee. Q	If we make a late payment for our annual Corporate Licence fee will the period run from the date you receive our payment? A	No. It will run from the anniversary of the original date you started the contract. If you were denied access to our intellectual property for any period due to late payment then you lose that time forever. You may start a new contract of course but this may be (indeed most likely will be!) at a new and regrettably higher price. That way Mistral remains in business and you continue to receive the best software available for our industry. More .. .
Q	May we ask for a discount? A	 Yes. You may ask. Q	If we ask for a discount will we be granted one? A	No. Our prices are already very fair. Considering not just how much time and money they cost us to develop and to constantly maintain, but more importantly, how much time and money they will save you! Q	What is the Computer Misuse Act? A It is what the title suggests. Legislation (enforceable under International Law), designed to protect both public safety and also the rights of owners of intellectual property against malevolent and criminal acts. For example: Protection from thieves; such as thieves using unlicenced computer software or thieves attempting to make and pass on illegal copies. In case anyone is any doubt about whether Mistral Associates refers to relevant parts of this legislation and employs qualified legal counsel to enforce it in the event of suspected loss of or damage to all or parts of its intellectual property rights, including consequential losses and damage, then please be assured that Mistral Associates does. Without hesitation! More .. .
Q	Can I read Mistral's End User Licence Agreement before committing myself? A Yes of course. It's here:- Mistral End User Licence Agreement .. .
Q	What recent changes has Mistral made to installation and file saving procedures? A Mistral's engineers and programmers work tirelessly meeting new Operating System challenges, enhancing program features, speed and simplicity of operation, whilst always seeking ways of improving the security of user's data, their privacy and importantly, their investment in the system. More .. .
Q	My firm is a current multiple access licensee. I need a new access code. How do I obtain one? Two minutes reading the following could spare you an hour trying to guess what to do! Simple! However entering a new code means you must install the latest current program version along with it. If your firm has multiple user access then you are a Mistral 'Corporate Licensee'. Click on the 'Corporate Licence' link which appears in the menu in every one of Mistral's 700+ web pages. In the new page that appears then click on the link which reads 'Corporate Software Suite - Download for existing Licensees'. Complete the essential short download and access code request form, ensuring your email address is absolutely correct. After successfully transmitting your request a confirmation page will appear and this includes the clearly identifiable link. Click on the link and the download will start. Be patient. The download file is large. It has to be, Mistral's programs are exceptionally sophisticated. So as to make them the most comprehensive, fastest and easiest of their kind to use in the world! Make sure you know where your computer's Operating System (Windows) has placed the downloaded file. Depending upon your Operating System (Windows version) that isn't always easy. Microsoft tend to make things much more complicated than they need to be! If you can't find it in your Downloads folder then Windows has put it somewhere else! Use Windows Search to look for it for you using the following search clue *setup.exe (don't forget the * 'wild card' immediately before setup!). All Mistral program download file names end with setup.exe. Eg: mistral_corporate_5_0p_setup.exe. However use 'wild cards' such as * ahead of setup.exe when searching instead of the complete sample file name shown in this paragraph as Mistral's programs are both updated and upgraded on a continuous basis. File names ahead of setup.exe are therefore correspondingly changed frequently. Sometimes daily! Double click in the setup.exe file name to begin Mistral's automatic file unpacking and installation procedure. If you are an IT (Information Technology) professional then please don't be tempted to try and be clever and over complicate matters by attempting to unpack and install the system yourself. It won't work! You WILL fail and you will only achieve wasting everyone's time including your own. Accept the simple and transparent prescribed method. Towards the end of the installation procedure you will be prompted to enter your unique, one time use only, Access Registration Code. Please be patient waiting for this to be forwarded to you. Access Registration Codes are generated using both digital and manual verification of entitlement procedures. For this reason, along with various other reasons totally outside of Mistral's control, it may take up to 24 hours for the code to reach you. Please do not make repeated attempts to obtain a code within the 24 hours following your first attempt. Doing so will almost certainly only result in further delays. In the rare event of an installation problem then an Error Code # will appear. The key to Error Codes can be easily found in the program's setup Help pages. To save your own time as well as ours if you have a problem installing then please refer in the first instance to the few simple to follow Help pages. Also please remember this - The cause of the problem will be at your end and not due to any failure in Mistral's 33 year, globally proven systems! However, if the Help pages didn't provide the solution then don't be afraid to contact us here and provide us with as much clear and lucid information of what you saw on your computer screen as possible. Polite requests for help will always receive friendly, clear and as easy to understand advice as quickly as we able to provide it. 24/7, 365 days a year. If all else fails try following Mistral's simple instructions. They are usually always right! Just two minutes reading the above could spare you an hour or more trying to guess what to do! 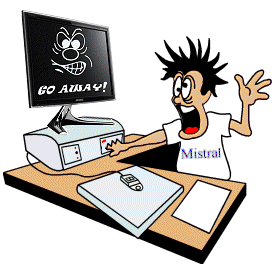 Q	If I delete my Mistral program installation will I lose my saved calculation files and database edits? This means that when you re-instal Mistral programs your saved files will automatically be found again. Q Can you provide just 3 good reasons for installing Mistral software? A We can provide you with many more than just 3 good reasons! Just click here to see them. Q What does 'Non-Refundable' mean? A Click here to find out what 'Non-Refundable' means. Questions you should put to Mistral's imitators and plagiarists!